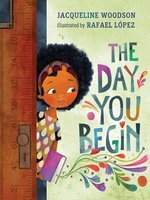 Woodson (Brown Girl Dreaming) imagines being “an only” in the classroom—what it’s like to be the only one with an accent (“No one understands the way words curl from your mouth”), the only one who stayed home during summer vacation (“What good is this/ when other students were flying/ and sailing”), the only one whose lunch box is filled with food “too strange or too unfamiliar for others to love as you do.” Without prescribing sympathy, Woodson’s poetic lines give power to each child’s experience. She describes the moment when the girl who didn’t go on vacation speaks her truth, her “voice stronger than it was a minute ago.” She has cared for her sister all summer, she tells her classmates, reading and telling stories: “Even though we were right on our block it was like/ we got to go EVERYWHERE.” And “all at once” in the seconds after sharing one’s story, something shifts, common ground is revealed, and “the world opens itself up a little wider/ to make some space for you.” López (Drum Dream Girl) paints the book’s array of children as students in the same classroom; patterns and colors on the children’s clothing and the growing things around them fill the spreads with life. 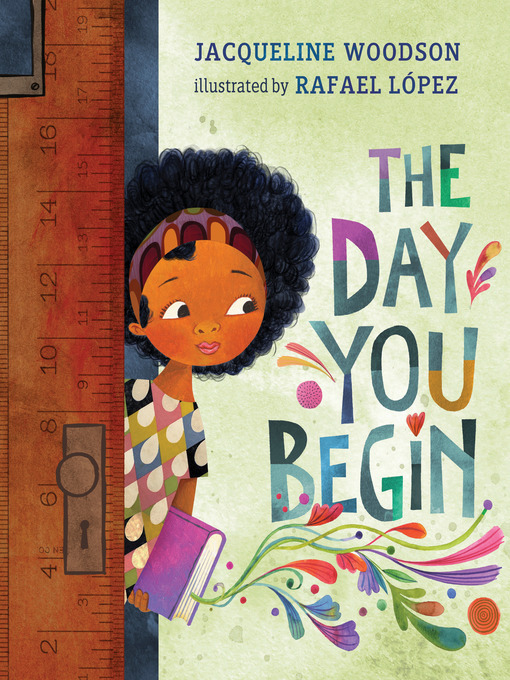 Woodson’s gentle, lilting story and López’s artistry create a stirring portrait of the courage it takes to be oneself: “There will be times when you walk into a room and no one there is quite like you until the day you begin/ to share your stories.” Ages 5–8. Author’s agent: Kathleen Nishimoto, William Morris Endeavor. Illustrator’s agent: Stefanie Von Borstel, Full Circle.